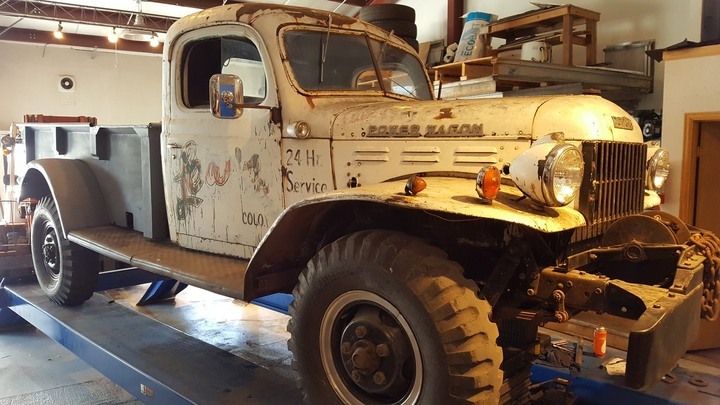 1948 Dodge Power Wagon, with original T137, rebuild tag with specs attached to block by rebuilder. New brake master cylinder, and brake lines, radiator refurbished, rebuilt seat and seat back. Original box has been rebuilt and is in very good condition. Left rear fender very good and right rear fender fair.